As highlighted above, Pramod’s coaching experience spans organizations in diverse industries, including Financial Services, Banking, Pharmaceutical, Engineering, Non-Profit organizations, Academic institutes and, schools , in the Indian Sub-continent, North America, Europe and Asia. He is fluent in English; and is very inclusive of, and adaptive to, other cultures and eco-systems. 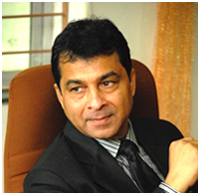 He has led interventions and conducted training/coaching sessions in major parts of the world. Pramod has coached approximately 15 CEOs and about 50 CXO level (direct reportees to CEOs) executives who have led functions like Finance/Marketing/Supply Chain/Production/Operations/Logistics/Strategy/Business Development. MA (Personnel Management & Industrial Relations) from the TATA INSTITUTE OF SOCIAL SCIENCES, MUMBAI, INDIA. BA (Psychology, Statistics & English Literature), Karnataka University, Dharwar, India – GOLD MEDALIST and University ranker. Vice President & Head – HR, : HDFC BANK LTD.
Assistant Vice President – HR, CITIBANK N.A. Have won various company and industry recognitions and awards for significant contributions and interventions made at various organizations.